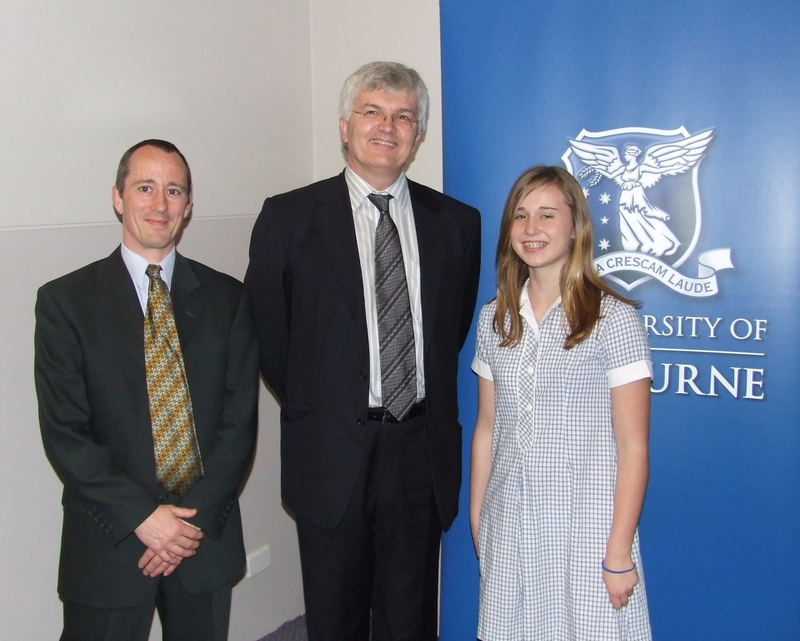 I set the questions for the Junior Division (years 7 and 8) of The University of Melbourne School Mathematics Competition. The previous competition was held on May 2, 2018. If you did really well we may actually meet at the awards ceremony to be held on Saturday October 6, 2018. Interested in next year's competition? Possible answers are: 0, 1, 49, 50, 51, None of these. Got a taste for it? Then you may want to try the questions from 2009, 2010, 2011, 2012, 2013, 2014, 2015, 2016, 2017 or 2018. Good luck. 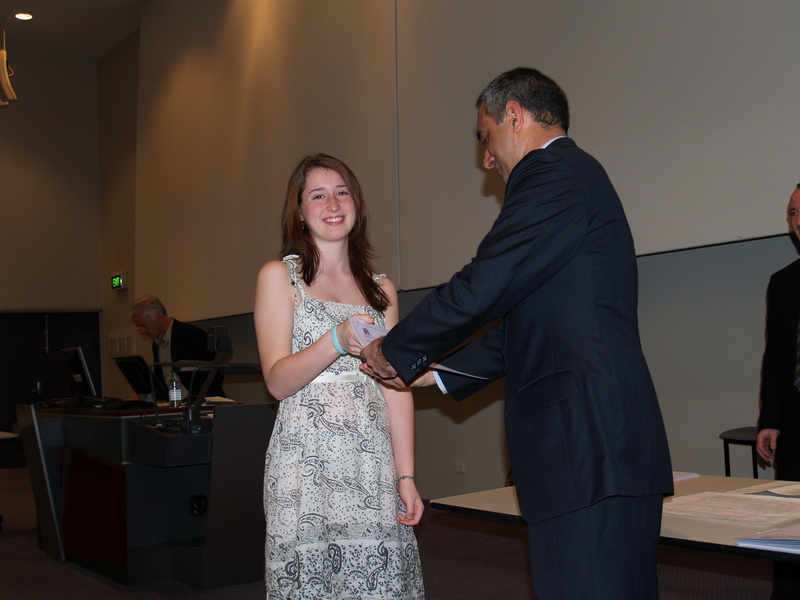 Hannah receiving her prize from BHP Billiton's Dr Anis Inayat-Hussain at the 2006 award ceremony; Iris with Vice Chancellor Professor Glyn Davis at the 2007 ceremony.